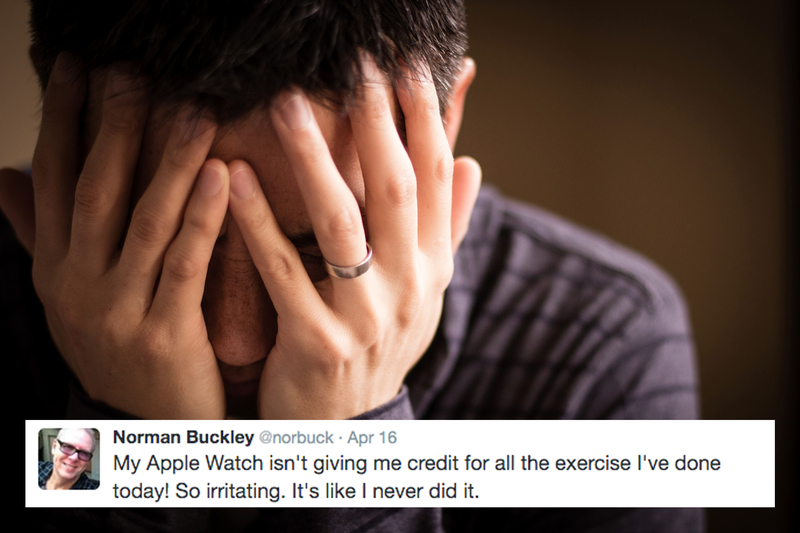 Here are 11 people with devastating first-world problems. 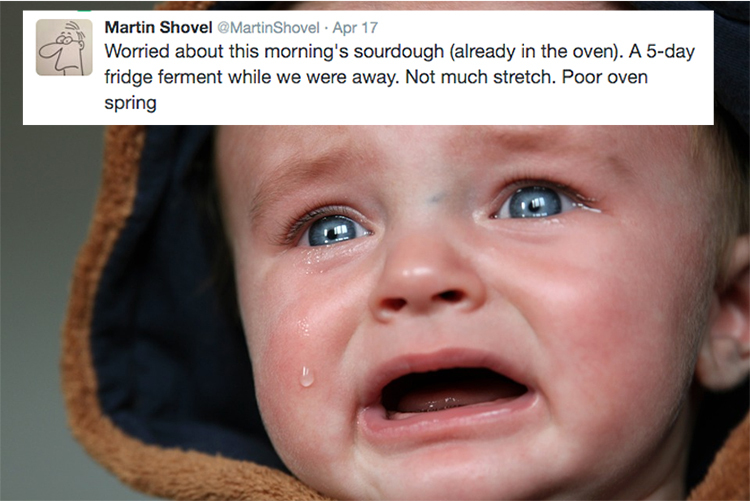 We all feel your pain. 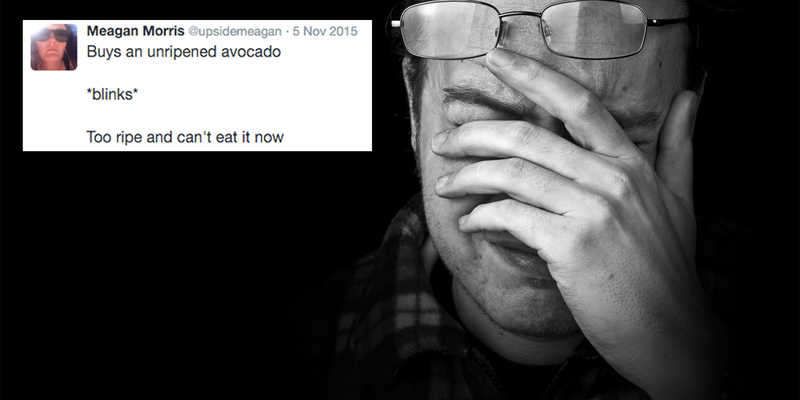 "I had to eat a burrito with no guac." 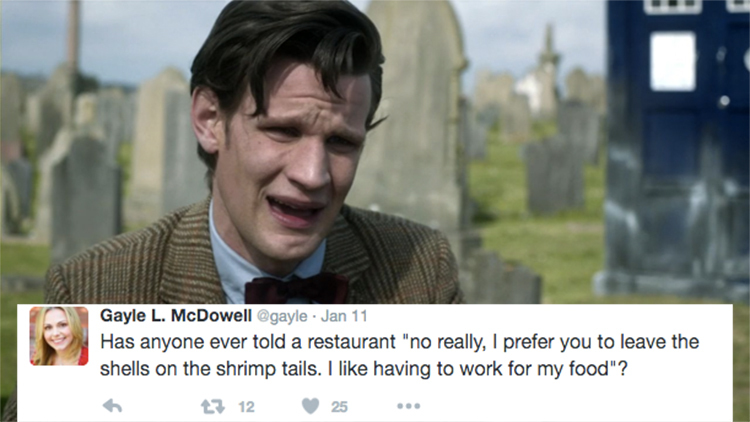 "If they start serving crab in the full shell, I say we riot." 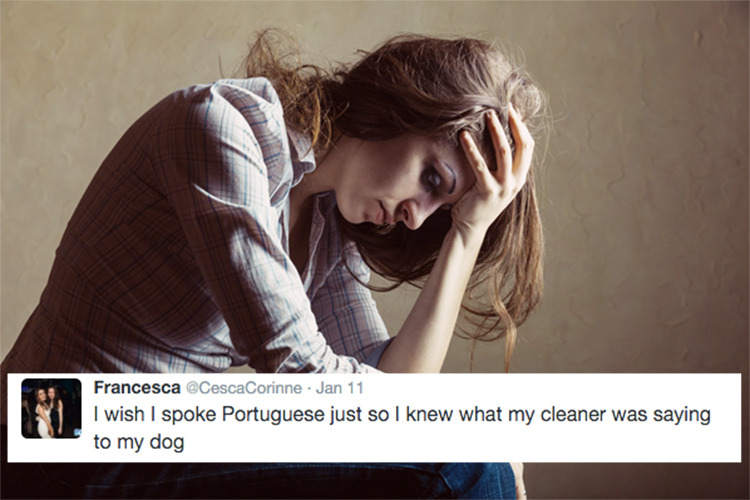 "What are Portuguese cleaners saying to dogs? Is it about the state of my chez lounge? I must know!" 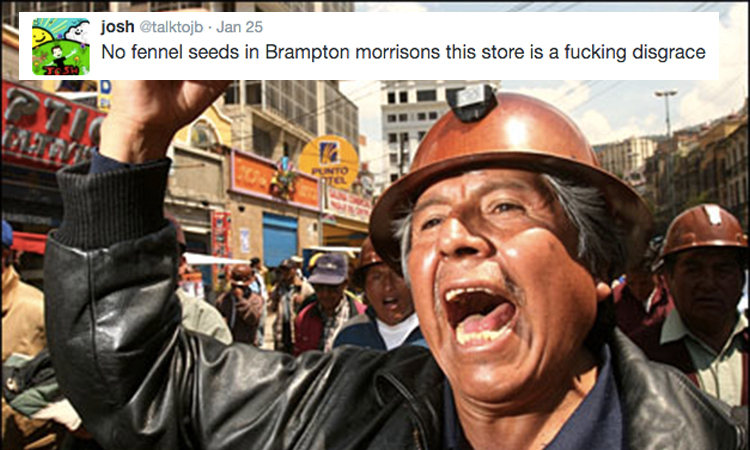 "We demand fennel seeds at all local branches of Morrisons!" "I just... 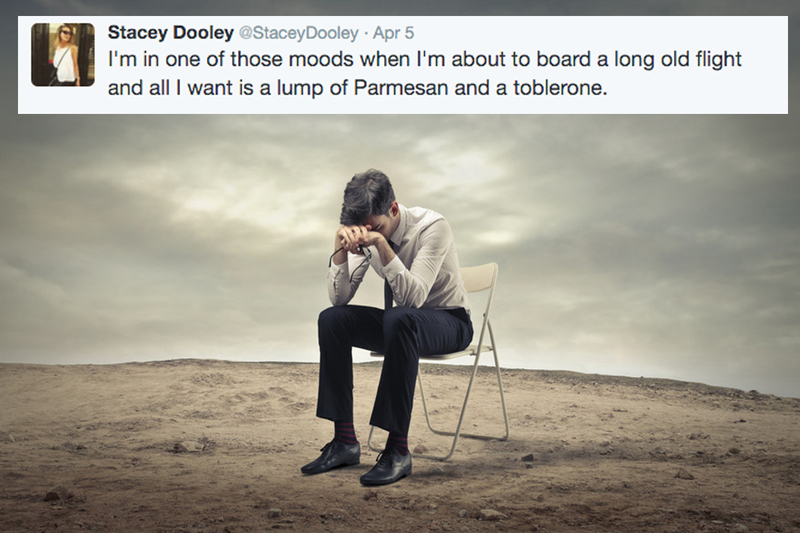 I need to be alone with some parmesan and a Toblerone right now. Never you mind, why." "If a tree falls, but it wasn't captured by any Apple product, did it really fall?" "I captured it on a Windows phone." "Quiet, Carl, you know that doesn't count. You're making a fool of yourself." "But... but this is my organic waste. Made from my herbal teas." 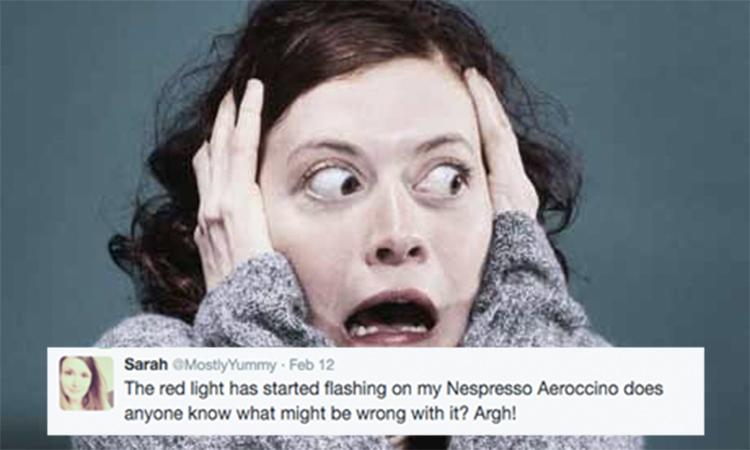 "Don't panic, I've done a tweet to my followers. Help is at hand. 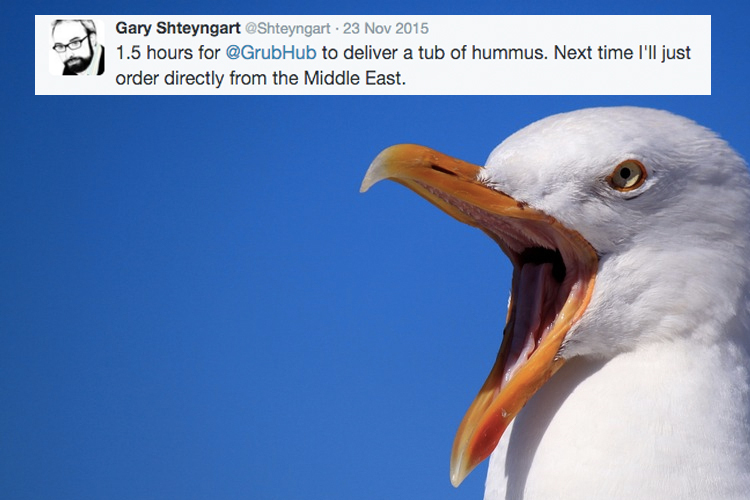 "If I have to wait .5 more hours for hummus, things are going to turn ugly. I am going to be one terse customer at the complaints department." "I don't know how we'll go on if the spring fails me."